A collection of six helium filled happy 50th birthday balloons. 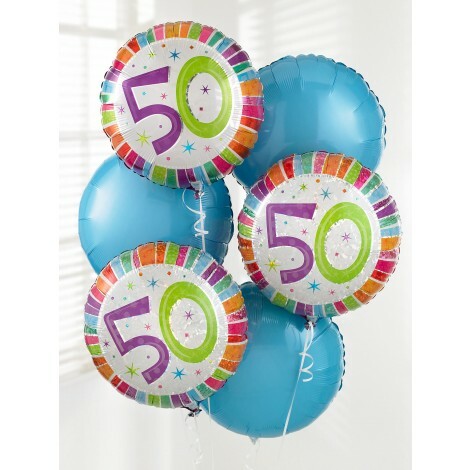 Make someones days extra special and fun-filled by sending your regards with this set of six helium filled happy 50th birthday balloons. 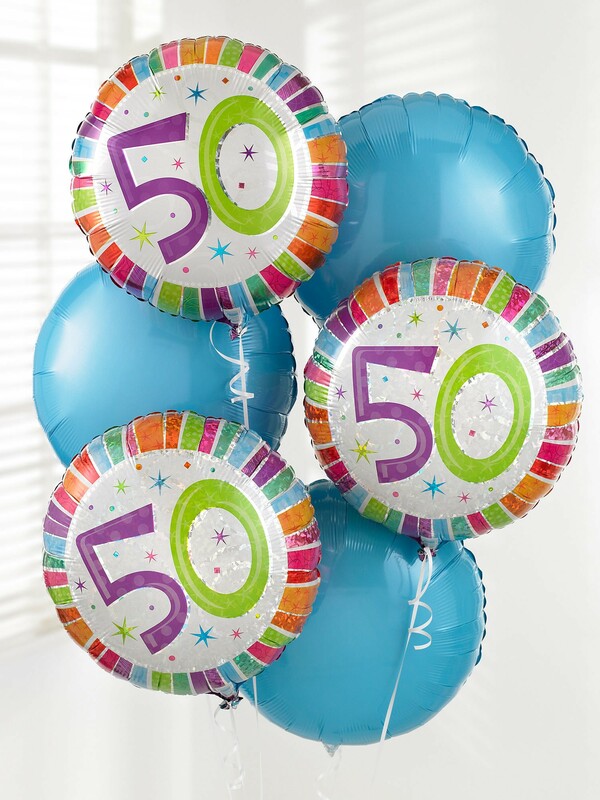 Three of the balloons have a 50th birthday design, with the remaining three being bold, bright and contrasting in beautiful eye-catching blue.